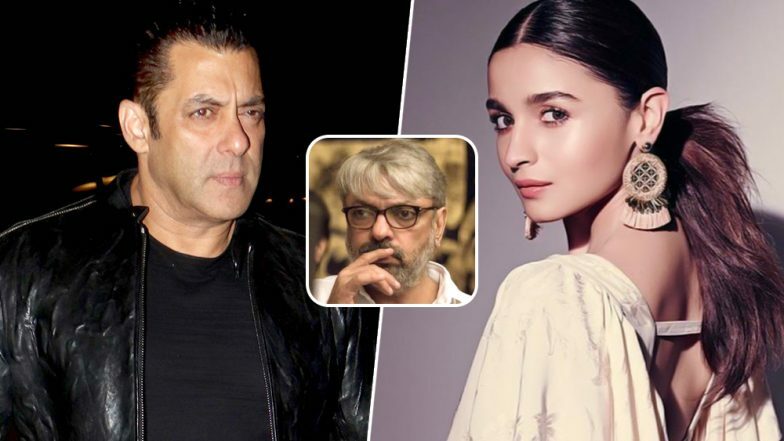 It was just yesterday when Alia Bhatt was spotted outside Sanjay Leela Bhansali's office and the pictures sparked rumours of them collaborating for a film together. And voila! Here is the BIG announcement - Alia Bhatt will be starring opposite Salman Khan in Sanjay Leela Bhansali's next. The film will be titled Inshallah. Taking to Twitter, Alia confirmed the news saying, "I was 9 when I first walked into Sanjay Leela Bhansali's office, all nervous hoping and praying that I would be in his next film. It's been a long wait." To which Salman replied saying, "It's been 20 years but I am glad Sanjay and I are finally back in his next film, Inshallah. Looking forward to work with Alia and inshallah we will all be blessed on this journey." With Salman and Alia coming together for a Bhansali movie is definitely HUGE! This is going to be their first project together and we're excited to see them in the same frame together. Alia Bhatt To Be Sanjay Leela Bhansali's Female Lead in His Next Film? (View Pics). For the longest time now there were rumours about Shah Rukh Khan and Priyanka Chopra being a part of SLB's next project with it being a remake of Meena Kumari's hit classic Baiju Bawra. However, now with this latest update, we know that it was basically only a rumour. Are Shah Rukh and Salman Khan Coming Together for Sanjay Leela Bhansali's Next? Here's What We Know So Far. Anyway, we just hope Alia and Salman are not paired opposite each other because we don't think they'd make a great pair. But we also trust Bhansali enough to make them look great together onscreen if he plans on doing so! We're super excited for the project, what about you? Comment below and tell us!